A new pressure group has been set up to help secure the future of the Island Line train service with a sustainable, reliable and viable service for the duration of the next franchise period. from Stewart Blackmore on behalf of a new pressure group. [Ed On theWight]. A new pressure group has been formed to fight to keep Island Line train service within a wider regional rail franchise. 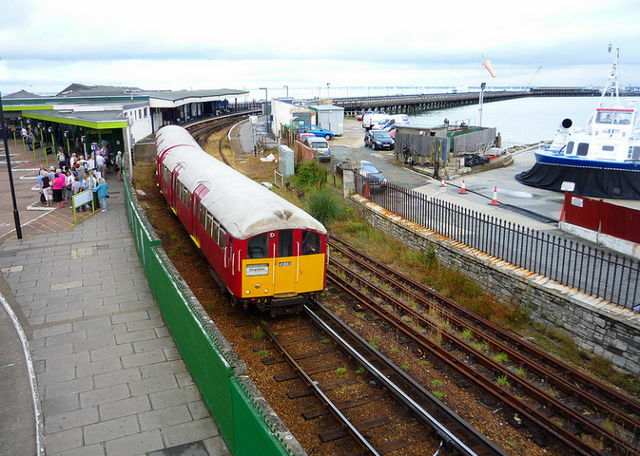 The Keep Island Line in Franchise (KILF) Campaign Group has been established after the future of the Island’s Ryde to Shanklin route has been threatened by a proposal to transfer it to a Community Interest Company. To secure the future of the Island Line (Isle of Wight) train service within the next South Western rail franchise (2017 onwards), with a sustainable, reliable and viable service on the existing route for the duration of the next franchise period. The future of Island Line has been brought into sharp focus by the recent Department for Transport announcement that the South Western rail franchise – which currently includes Island Line – will be subject to a new franchise award beginning in 2017. With procurement for this franchise due to commence in November 2015, KILF has been swiftly established to influence the government prior to then. The group’s first step will be to host a public meeting at Shanklin Theatre on Tuesday 11th August. All passengers, Island Line employees, residents and interested groups – including local businesses – are invited. IW Council leader Cllr Jonathan Bacon and Island MP Andrew Turner and his transport advisor Nick Finney – all of whom have advocated transferring Island Line into an as-yet unspecified Community Interest Company – will also be asked to contribute to the meeting. The KILF Campaign believes transferring Island Line out of the franchise would inevitably result in service cuts and station closures as the route would not benefit from being underwritten by a wider, profitable franchise. At the public meeting, beginning at 7.30pm, the KILF Campaign will outline the current situation, listen to the views of those in attendance – and agree a course of action for next steps. The meeting will be chaired by Deborah Gardiner, Brading Town Mayor. “This is clearly an issue of great concern to many people who rely on Island Line. While there has obviously been much effort spent promote transferring Island Line to a Community Interest Company, no one has yet bothered to engage with the community which relies on the service. That is what we will be doing on 11th August. “Sandown and Shanklin Labour Party branch has already highlighted obvious flaws in the nebulous Community Interest Company idea and has raised fundamental questions on how such an arrangement could possibly maintain current levels of service. The Island deserves a serious long-term strategy for this service – not men playing trains. “Along with many Shanklin residents, I am deeply concerned about the plans to remove Island Line from the regional franchise. It defies logic, and as a regular commuter I believe these issues are far more important than local political sensitivities and party boundaries. “We must work with anyone – and everyone – who will make the case for keeping Island Line’s in the regional franchise. I know from local conversations that this view is shared by supporters of all political parties, including my own; not least because a rational consideration of the practicalities of running a train service leads to this conclusion. “There are mixed messages from the IW Council and increasingly baffling comments from the MP. We need a rational discussion on the future of Island Line – one based on the reality that the service must remain part of the national rail network. “As one of my colleagues outlined in the County Press last week, benchmarking the possible community management of a train service with that of Shanklin Theatre is a poor comparison. The complexities of a train service are likely to seriously challenge even the most competent community management team. “The theatre is pleased to host this meeting, not least to directly show the very practical differences between us and the train service!